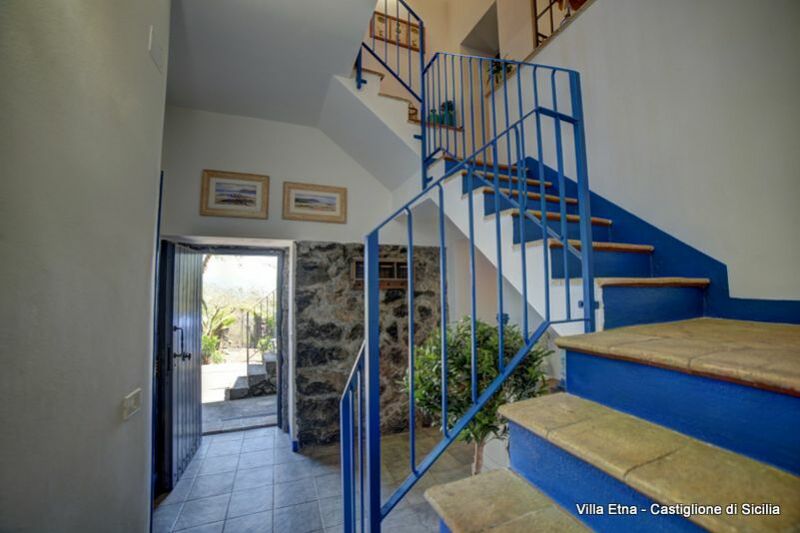 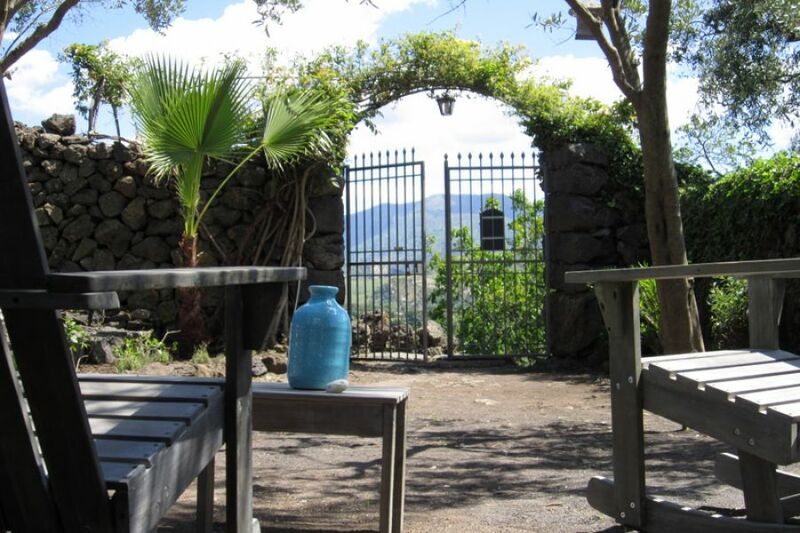 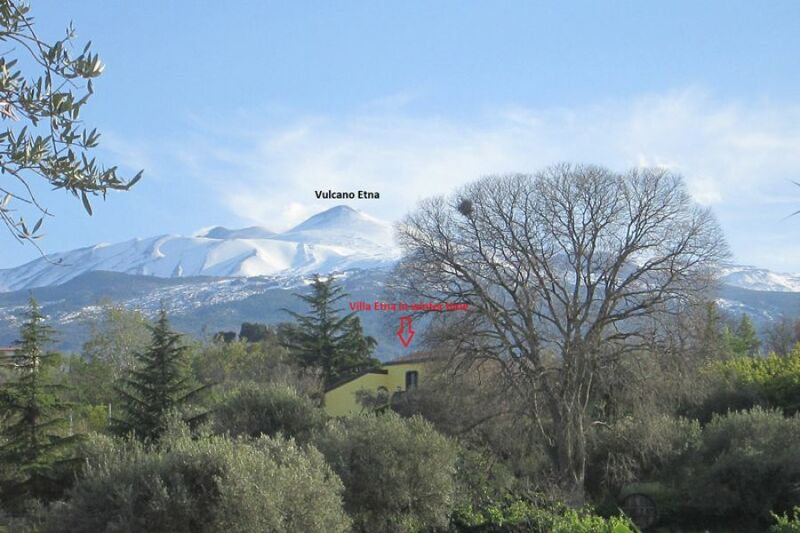 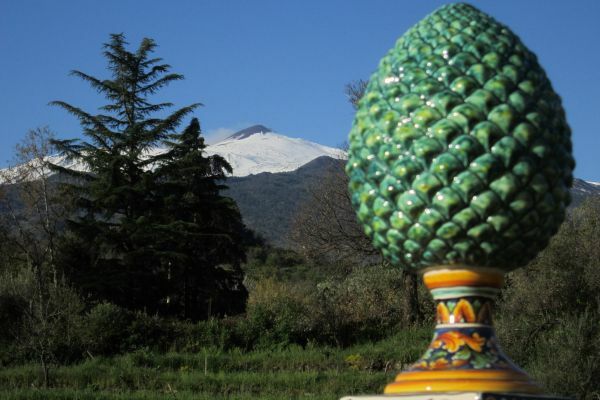 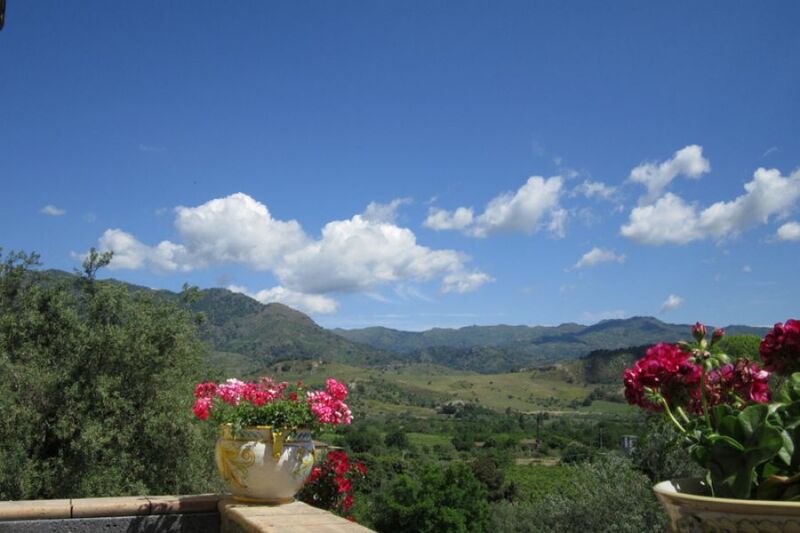 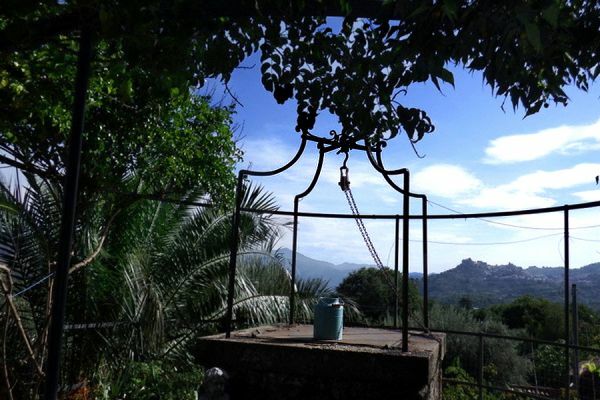 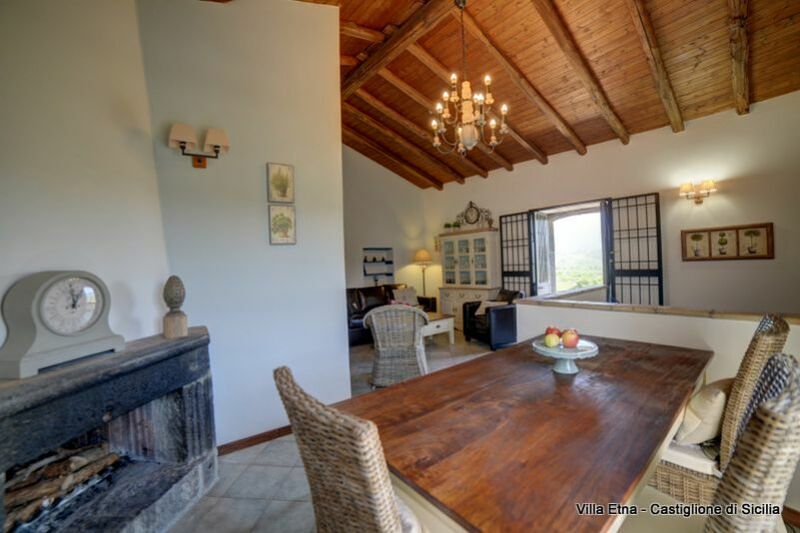 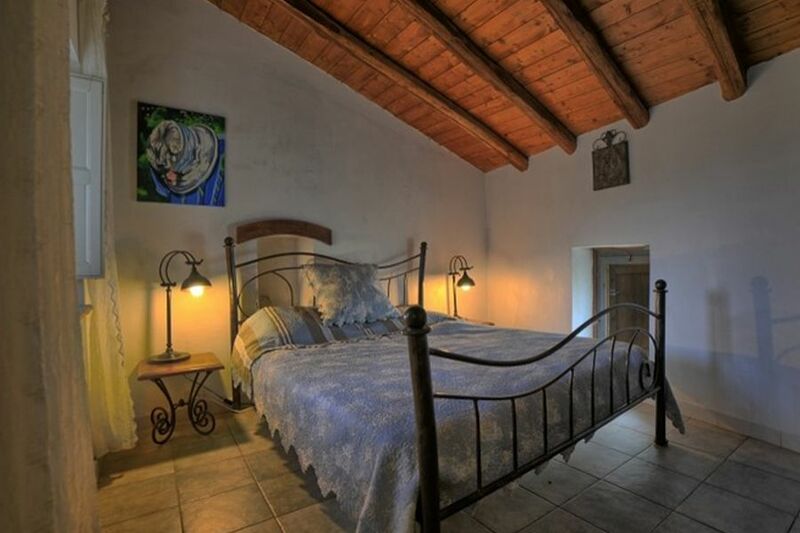 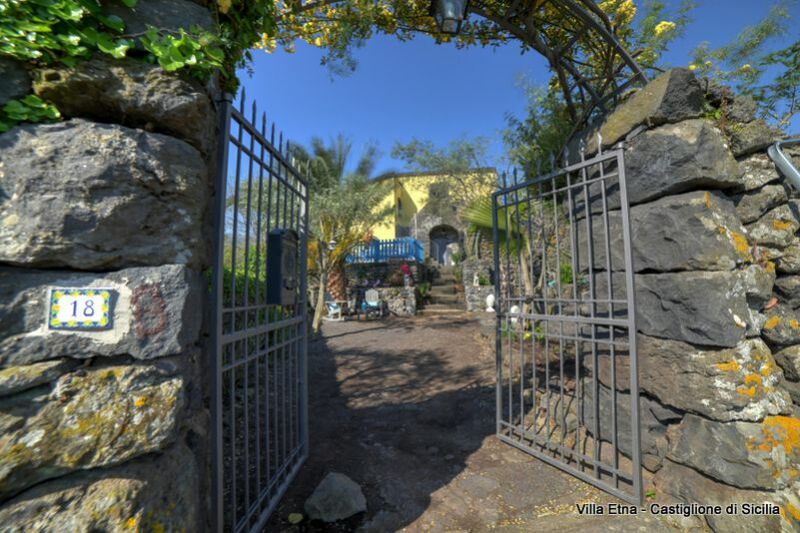 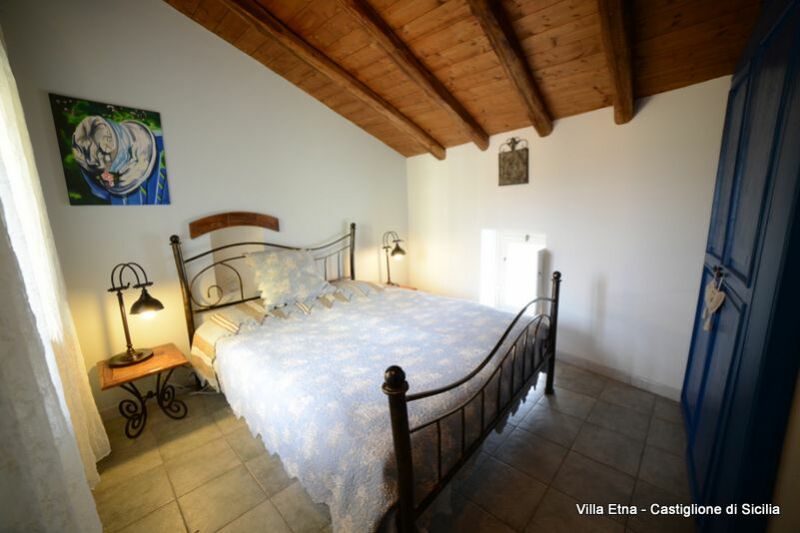 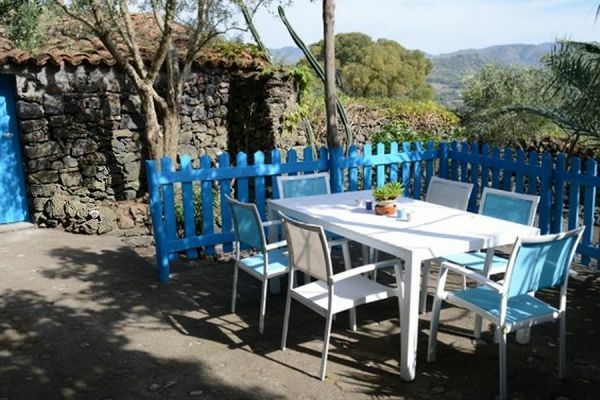 Etna Villa is a romantic, typical Sicilian, detached country house with great panoramic views. 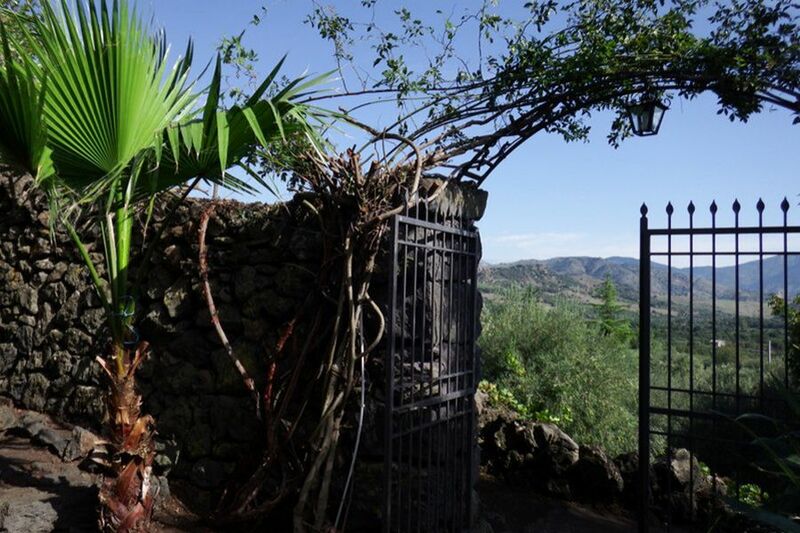 Ideal for anyone wishing to experience the original Sicily and who want to retain their privacy. 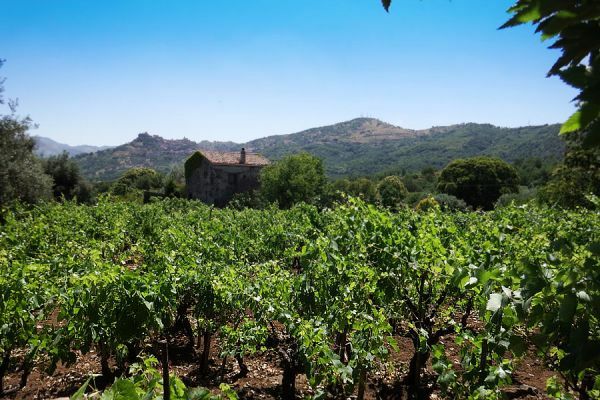 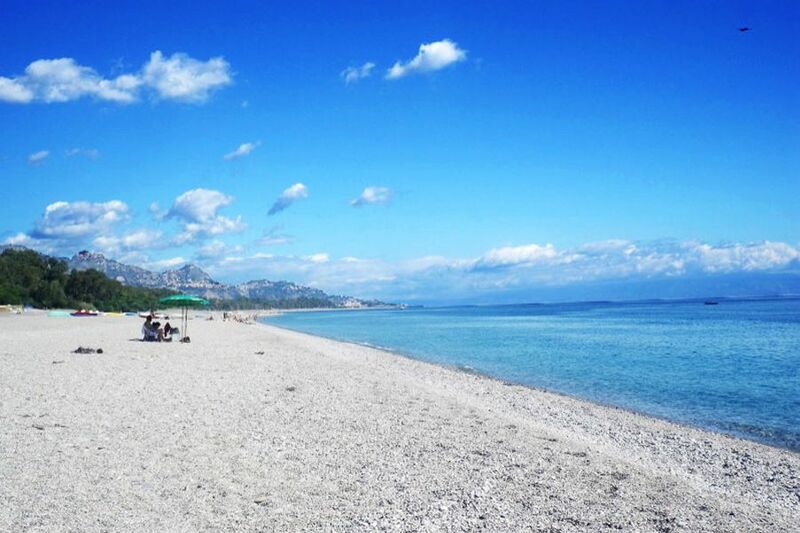 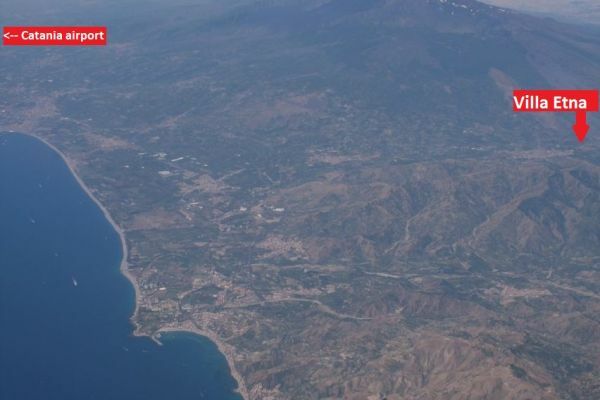 It is located in the hinterland of Taormina (30 min ), surrounded by vineyards and olive groves. 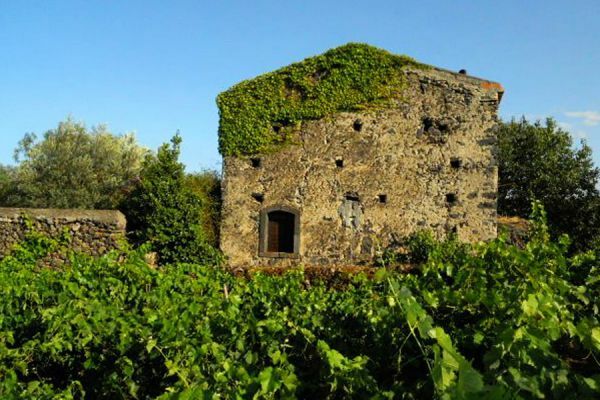 The villa is hidden behind romantic lava walls on a small hill in the middle of a vineyard. 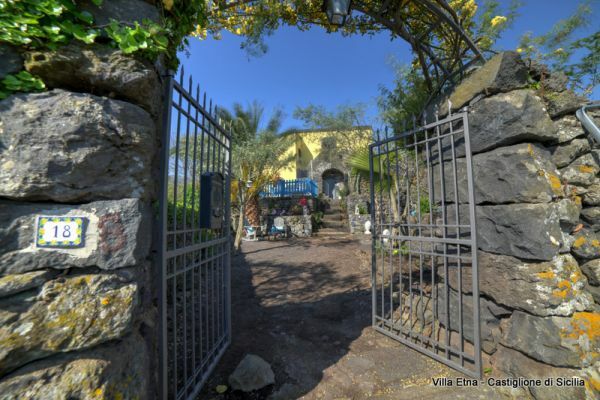 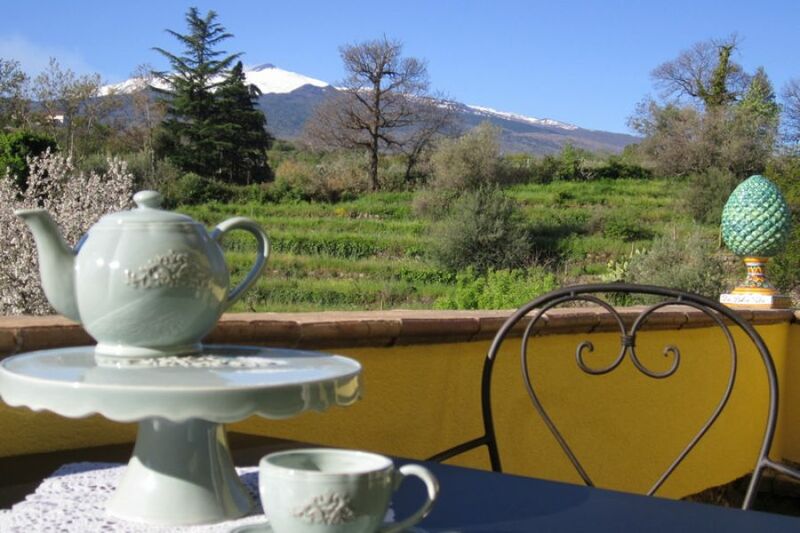 Idyllic overgrown courtyard with wrought iron gate, antique draw well and shaded terrace, balconies and terraces with panoramic views of Mount Etna or the surrounding mountains Mt Nebrodi and the Alcantara valley. 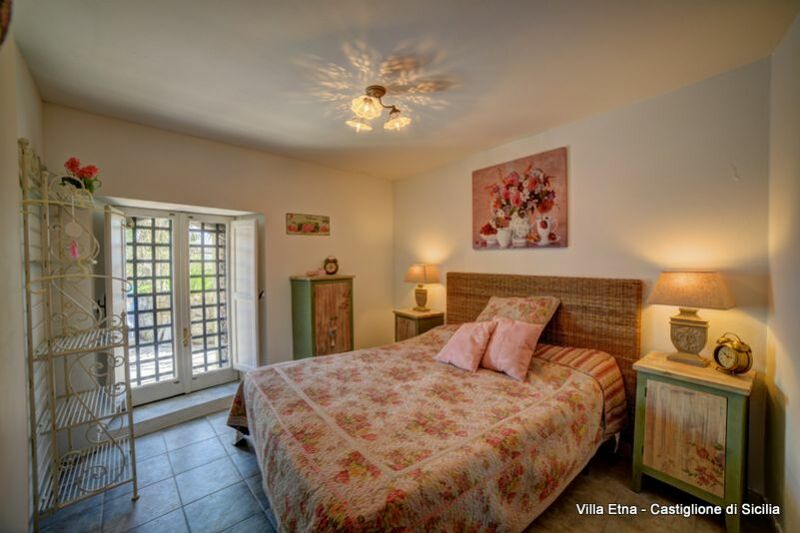 3 bedrooms, bathroom with shower, living-dining room and kitchen. Panoramic views from all windows! 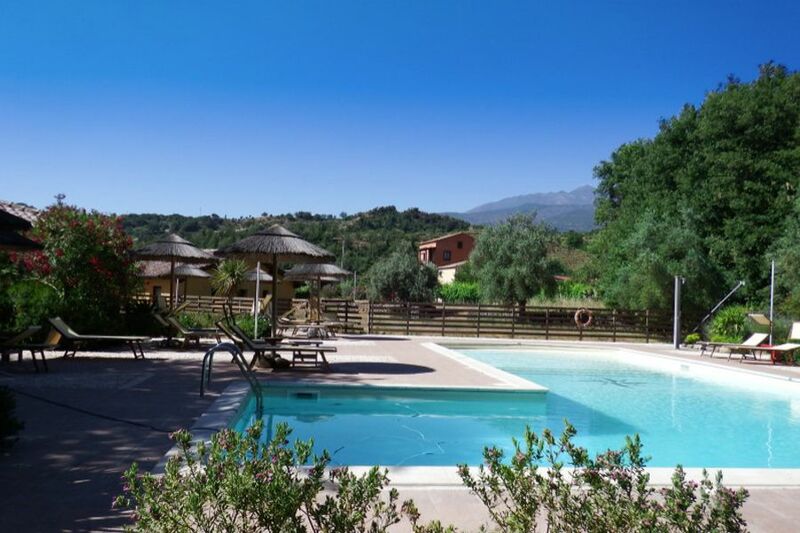 The large central pool with pool bar and showers is about 300m from the house (shared use). 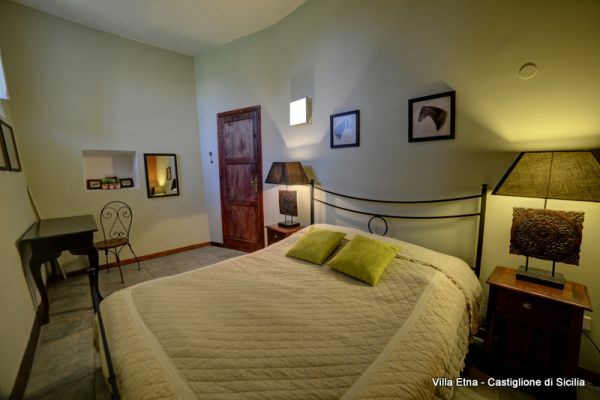 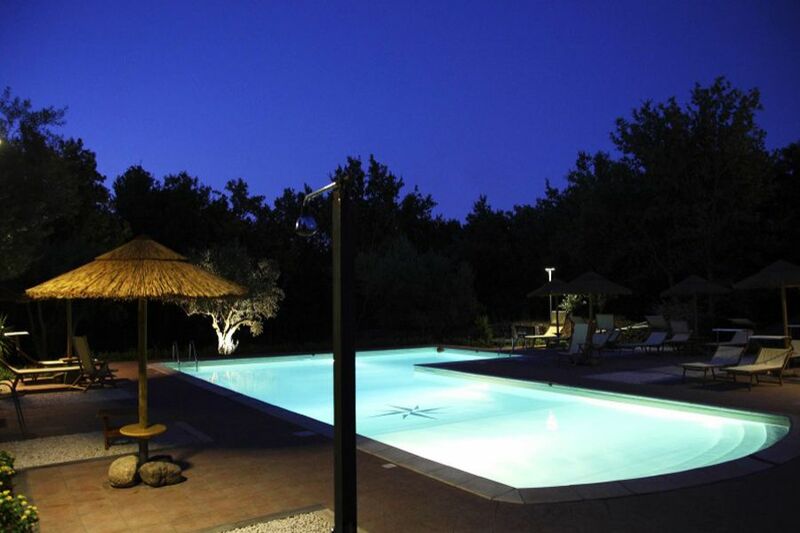 Here you can use the service of Agrihotels "Tenuta Antica Cavalleria" . Half-board and dinner only is possible , washing machines, bicycle rental, pick up at the airport Catania are possible. 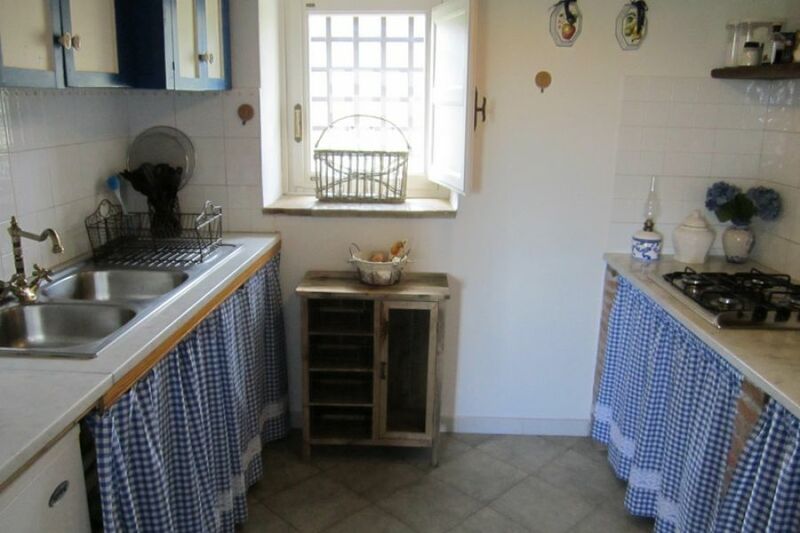 The sea is about 25 minutes away . 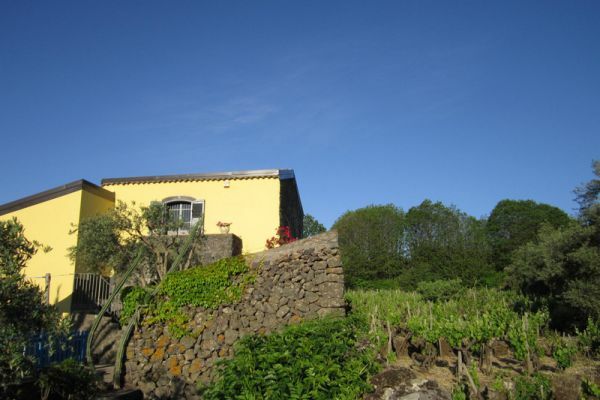 The house has no immediate neighbours and therefore offers plenty of privacy. 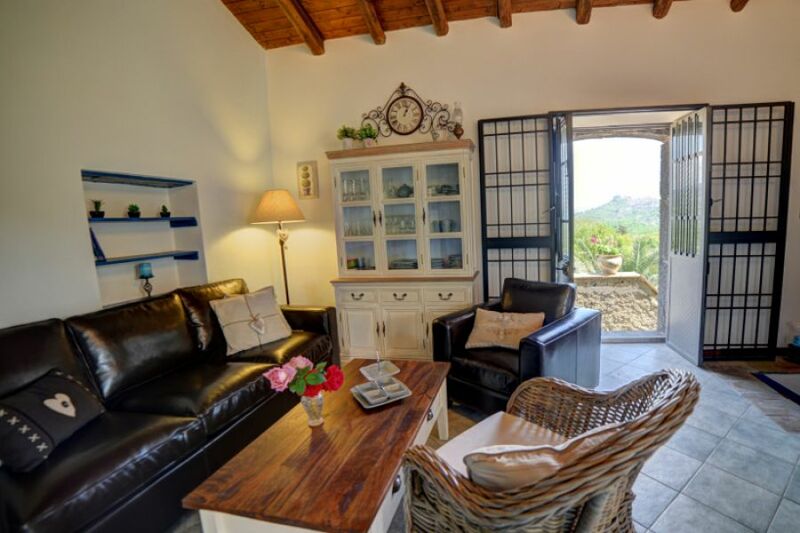 Nevertheless, the AgriHotel is within walking distance and offers excellent Sicilian cuisine in the form of half board or dinner. 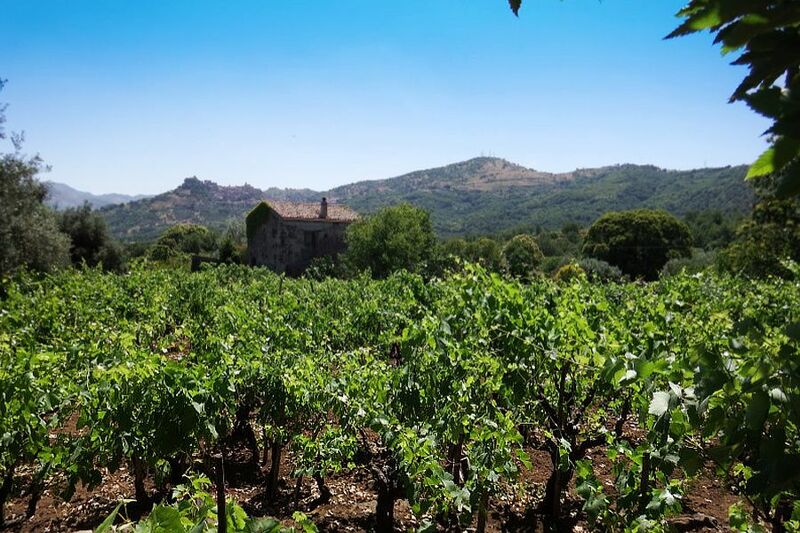 The food and wine are there unique and should not be missed.